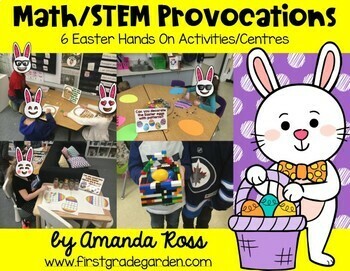 This is a set of 6 Easter-themed math and STEM provocations. They are fairly open-ended, exploratory, play-based activities that can hit a bunch of math concepts (counting objects, addition and subtraction, estimating and counting, measurement/length, shapes, patterns, and more.). 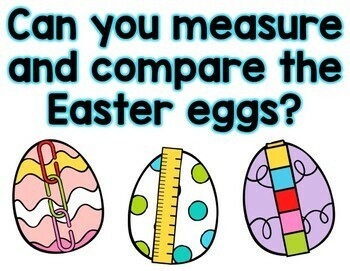 There are 5 math-based activities and 1 STEM type activity. 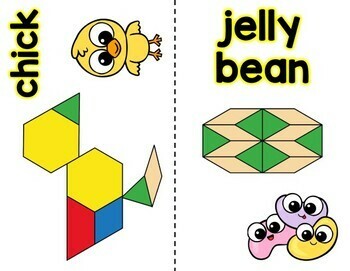 There are no recording sheets for these activities. They are meant to be hands on and play-based. 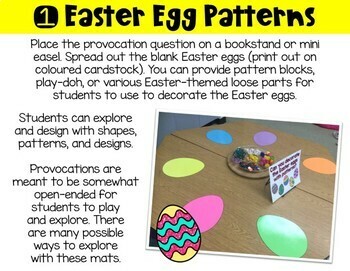 Each activity has a provocation question and the necessary mats/pieces.